Ah the onerous task of finding your Wedding Photographer. How do you even begin? Well admittedly i’m not entirely sure but you might find my musings of how i bumbled through the process useful, or at least amusing?! If you’re anything like me, this feels like kind of a big deal. Huge in fact. You’ve spent hours. Days. Weeks. Thinking about what you want your wedding to look like, how you want it to be super chilled and informal and ultimately full of your favourite people having a bloody good time and lots of laughs. So you want to capture that, bottle it, scrape it up into a palpable ‘thing’ that you can look at and laugh, cry, smell and FEEL those feelings all over again and remember just how amazing it felt. Thats a pretty big ask! You’re going to need someone who is relaxed and natural in their style but also someone you get on with, its super important to like your wedding photographer, the more you like them the more you’ll relax around them and forget they are there when you’re laughing until you cry or saying your vows. Now, given that this is kinda my favourite subject i’ve split this into two posts because there’s so much to cover. First lets look at different styles of Wedding Photography so that you can eliminate some, this way, you’ll know what you’re searching for when you start looking around on Google or Wedding Blogs. Next time we’ll look at what you need to look for, questions to ask and steps to making sure you find the right photographer for you. Given that I am a wedding photographer myself i’m quite well equipped to explain the differences between different styles of photography, so lets take a look at some of the pigeon holes us photographers put oursleves in! We’ll start with this because i’m within this genre! Documentary Wedding Photography (sometimes called photojournalistic wedding photography) focuses on the telling the story, like a film with still images, it covers the details of the day and focuses on authentic moments rather than staging or posing. It prioritises emotion and reality over ‘perfection’. To me these moments are perfection, they are real, raw, human and as you remember them- beautiful. And of course, even a documentary photographer wants to make you look as awesome as possible so we’ll use our skills for that. This said, there are still varying styles within this genre of photography, for example, I’m a very informal and natural photographer but given a dark night or quirky venue and I might get creative with flash techniques which gives me flexibility if the weather doesn’t play ball, let’s face it- we live in Britain! More this more in part 2. Traditional Wedding Photography is more like the kind your mum and dad might have had, or even Grandma and Grandad. Whilst there are usually some natural shots, the emphasis here is on a ‘set list’ be that in the photographers head usually but it covers all the formalities. There’s usually a bigger focus on posed shots from family groups to the couple shots, and often more time spent on them because they can take around 5 minutes per photo. Because there’s more time spent getting particular shots it can mean there’s not much time for natural photographs so bear this in mind if you’re considering this option. Of course, it can be difficult to ‘label’ wedding photographers as some people will cross over and have a mix of styles but this is just a general overview. Fine Art Photography is almost always natural light photography, the two go together due to the light, airy look that often comes with it. However, there are also the more dark and moody styles that class themselves as a Fine Art Photographer so its not always a hard and fast rule but the majority are. This style is quite magazine-esque and done right it often looks like the couple are in a vineyard in Italy or some sort of fairy tale because of the dreamy, light editing style. 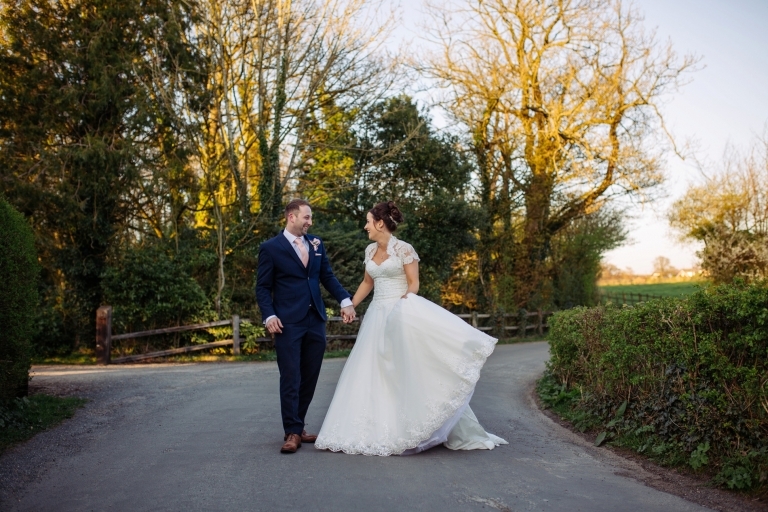 It’s still focusing on the natural moments throughout the day but portraits of the couple tend to be quite stylised, this can mean that in part there’s some posing required so might not be suited to those camera shy couples but those who love the camera would be in their element! This is a wide open genre of wedding photography, ultimately we are all creative! Quite often photographers who use a lot of flash lighting will come under this bracket but it’s worth having a really good read of their website to work out exactly what they are offering. Creative Wedding Photography can vary from the posed and set up with photographers using flash (great for dark winter weddings) to the contrasty and super creative shots using the available light which are completely unposed. The most important thing is to love what you see on the photographers site, if you think this style will suit your wedding then great! Next week we’ll be looking at part 2 which covers more of the serious questions, how to unravel the jargon and work out what you’re really getting and what you should be looking for before you book someone. You can also check out last weeks post which is all about how to get great photos of Bridal Preparations. Hi. Very interesting content but it’s hard to find deliciousphotography.co.uk in search results.